I never had a crush on any of my friends’ mothers. Moms always seemed old and ordinary to me when I was young-er. I usually think of American Thai food like I thought of other people’s moms – old, ordinary and not apppealing. Thai Corner recently opened very near my office. I have been twice so far. 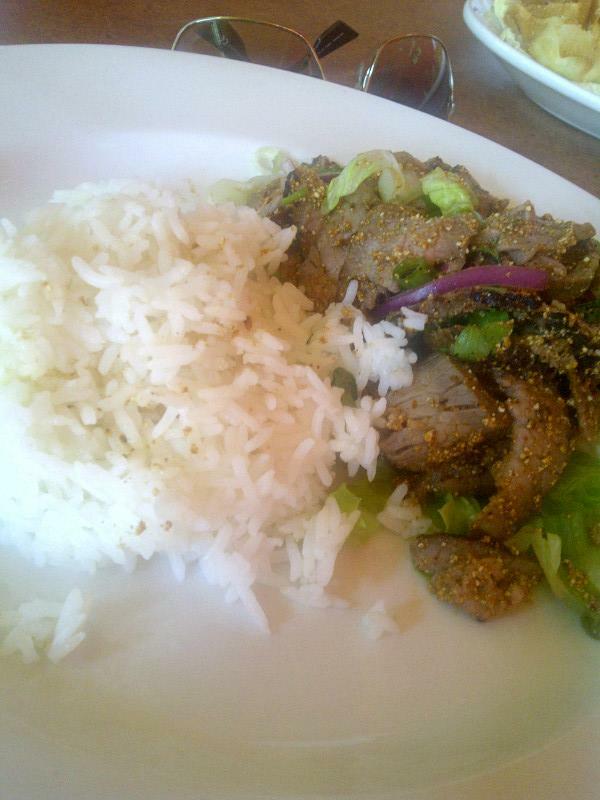 Today, I had the Nur Nam Tok (beef slices seasoned with ground roasted rice and other things) for $8.95. The crushed and roasted rice has a very distinct and strong flavor and texture. It was also spicy. I liked it. I dig being confronted with flavors that are not ordinary for American eaters. And, it takes cojones to serve food like that. 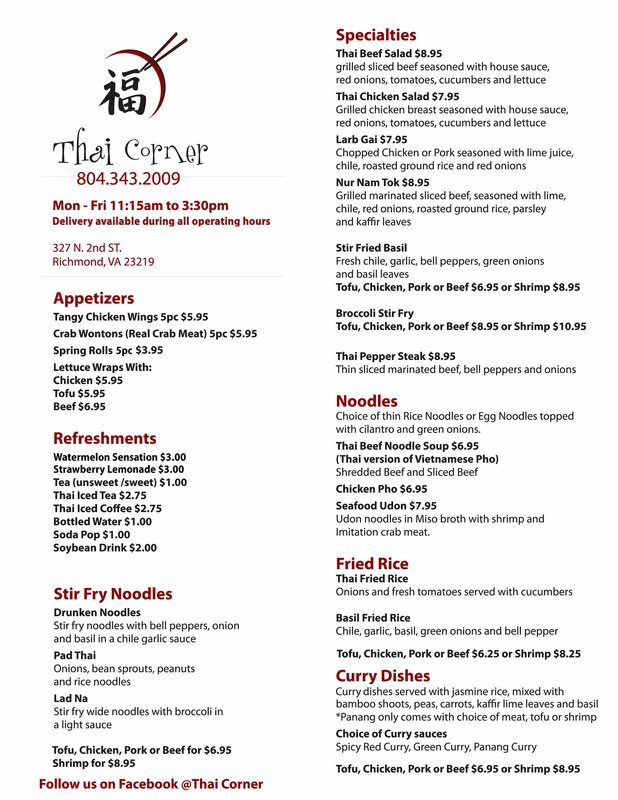 For me, Thai Corner is like your mom, only hotter and with balls. I gave it 886 out of 895 points. Lunches range from $6.95 to $10.95. For food with balls, that’s a good deal. And they deliver too. This post title was cracking me up! I need to get to this place, asap. Cool. Tell him I sent you. It makes me look like a big deal. I'm all about that. My friends all agree with you, but I’ve just looked over that menu, and I don’t see a hot mama with balls anywhere on that page. Please substantiate. Fair warning: I will probably be ordering the drunken noodles with tofu unless you steer me in another direction. Hmm. The vegetarian limitation is a challenge. Maybe tofu Nur Nom Tok?